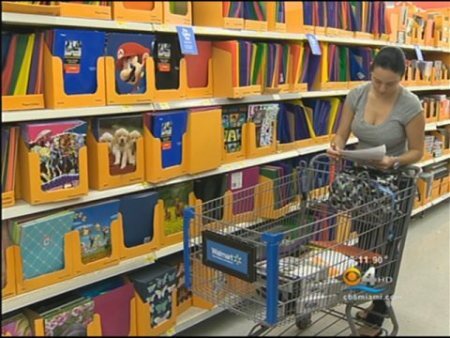 Rejoice Mom and Dad…Florida’s tax-free holiday for school supplies is back this year, starting Friday August 22, 2013 at 12:01 a.m and ending Sunday at midnight. This year, some new items are on the tax-free list, including personal computers and tablets. Retailers are planning on bringing in extra staff to help handle crowds and BestBuy, for instance, is extending hours, opening at 8 a.m. instead of 10 a.m. Here in the Coral Springs and Parkland area we have several great shopping areas, Coral Square Mall of course, plus Target on Westview Dr, Super Walmart on Coral Ridge near Heron Bay in Parkland and the new one n McNab Rd. 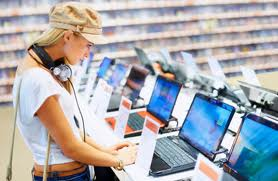 Also several office supply stores such as Staples, Office Max and Office Depot. Best Buy located on Atlantic has extended hours. School supplies can all add up. The National Retail Federation forecasts that families with school-aged kids will spend $634.78 this year on shoes, clothes and supplies – which is actually down from $688.62 last year. * New items on the tax-free list this year: Personal computers, tablets and accessories, such as keyboards and monitors, that sell for $750 or less.Lawmakers approved the exemption this year after they realizing how important technology is to education. * Bonus: The tax holiday applies to handheld gadgets too, so that includes things such as the Apple iPod touch and other MP3 players and E-Readers. * Sorry: That doesn’t include cellphones, video game consoles, digital media receivers or devices not primarily designed to process data. So, no HDTVs tax-free this time. * No kids? No problem: The holiday applies to any approved purchases, whether you have a kid or not. * Apparel: Everything from shirts and shoes (up to $75) to backpacks and hats. Even diaper bags are tax-free during the holiday. * Supplies: Any school supply-like item up to $15 apiece. * Upper limit: You can still buy something above that limit, but any dollar spent over the limit becomes taxable. * Online: You can also order online during that period, tax-free, as long as the retailer is set up to process the transactions. Even if the item won’t arrive for days, as long as you bought it during the holiday period, it should still be tax free. * Not tax-Free: “Clothing” does not include accessories or equipment such as watches, jewelry, umbrellas, handkerchiefs, or sporting gear. If you find you need more office space or a bigger kitchen for all that after school study sessions and homework, Call Robyn and Claudio Petasne,954-770-6850 the Coral Springs Realtors with Keller Williams Partners Realty. We can help you find a new home to meet your needs and sell or rent out your current property! 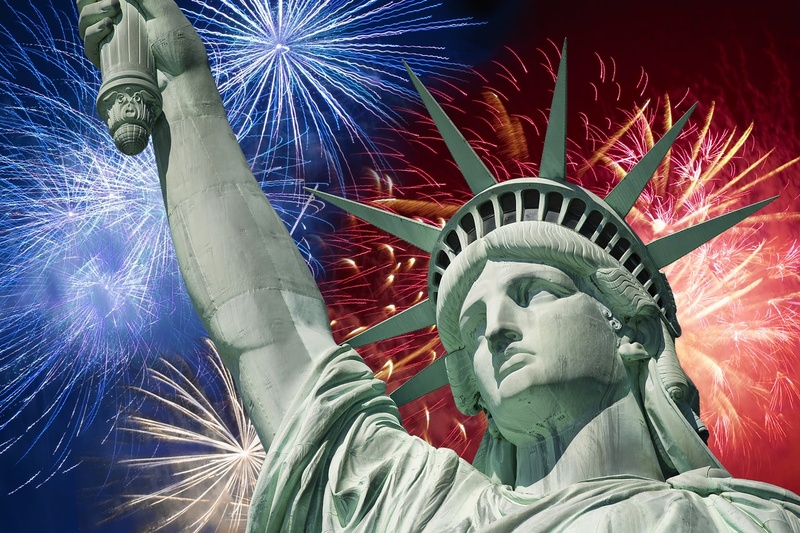 Don’t Miss July 4th Fireworks Celebrations! Another Birthday Celebration for our Amazing Country! The United States of America is 236 years old this July! There are a lot of great, fun, family-events to consider in Broward County this year Here is a listing of several Great Family Fun Cities! Parkland, Florida sponsors The Red, White and Blue Bicycle Parade held at Terramar Park, 6575 NW 76th Drive on Monday July 4, 2011 from 9:00am-11:00am. Bring your bike decorated in patriotic colors and parade around the park while the judges’ award 1st, 2nd and 3rd place prizes. 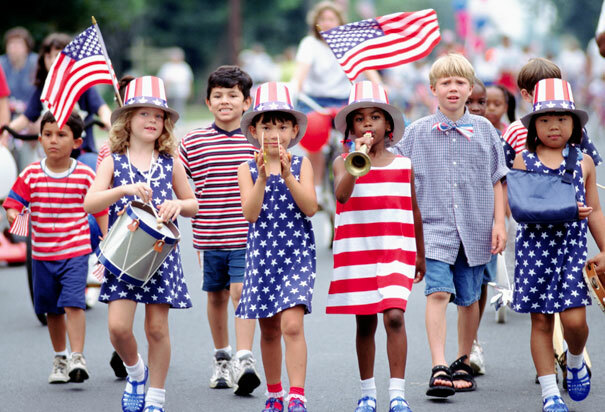 This event is open to residents of all ages who want to show their patriotic sprit. Evolution Martial Arts will showcase a karate/martial arts demonstration. Broward Sheriff’s Office will also have a bike course set up to test the children on bike safety and the Coral Springs/Parkland Fire Truck will be displaying their famous green fire truck! This is a FREE event open to all Parkland residents. The City of Coral Springs invites you to come for an evening of Fun and Fireworks at the Annual Independence Day celebration, which takes place from 6-9 p.m. at Mullins Park,Wednesday July 4th located at 10150 NW 29th St. families will enjoy games, bounce houses, food and entertainment. The fireworks display will begin promptly at 9 p.m. The event is free, but there will be fees for food, bounce houses and games. Parking will be available for $3 fee at the Coral Springs Gymnasium for early arrivers, and also at the main Mullins Park/Center for the Arts parking lot. No pets or alcoholic beverages are allowed in the park. Personal fireworks will be confiscated by Coral Springs Police. For more information, please call 954-345-2200. Another great option is Fireworks at The Beach on Pompano Beach. The Fireworks Extravaganza will begin promptly at 9 p.m. on the city’s main public beach, north and south of the fishing pier by Atlantic Boulevard. Blankets and lawn chairs are welcome. Thinking of heading to Fort Lauderdale? The city’s centennial events commemorate the Wade-In 50th anniversary. This historic event led to the integration of Fort Lauderdale Beach. Celebration begins 9 a.m. at Eula Johnson house, 1100 NW Sixth St., followed by a state historic marker unveiling at 11 a.m. at A1A and Las Olas Boulevard. Call 954-828-4755 to reserve a seat on the free Sun Trolley. The “Fourth of July Spectacular” on the beach will have a DJ, beach games and the American Legion Patriotic Orchestra performing. Brass Evolution will also take the stage. Festivities start at 12:30 p.m. The half-hour fireworks presentation blasts off 9 p.m. at A1A and Las Olas Boulevard. In Hallandale Beach, the kids will have a blast with a bounce house, arts and crafts, pony rides, music and balloon animals from 4-8 p.m. at The Village at Gulfstream Park. Their Fireworks show is at 9 p.m. over Gulfstream Park Racing and Casino, 501 S. Federal Highway. The Independence Day weekend on Hollywood Beach will feature nightly musical performances at the theater (Johnson Street and Broadwalk) from 7:30-9 p.m. Caribbean Music Farm is scheduled to play tonight, upbeat jazz by Phil Fest & Friends on Saturday and classic rock ‘n’ by White Noise on Sunday. Then on July 4th, country music group Rodeo Clowns will be followed by Galo’s tribute to Santana (6-10 p.m.). Twenty minutes of fireworks will light up the sky over the Atlantic Ocean at 9 p.m. Park at a downtown parking garage and ride the free express bus to Hollywood Beach. Normal downtown parking rates apply. Farmers Markets are the Delight of the Season! 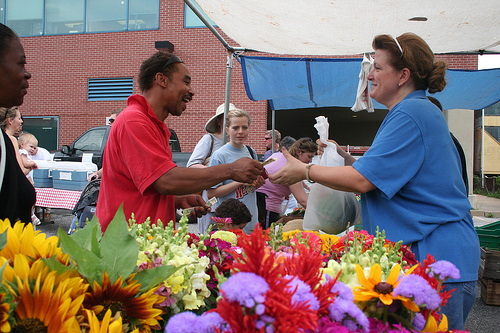 Nothing makes you feel more like spring and summer than shopping at a Farmers Market. We are lucky to have several new markets pop up in our area. Enjoy locally grown, prepared, and all natural products such as: produce, baked goods, hummus, smoked fish, dips, oils, vinegar, hot sauces, jerky, sauces, pastas, spices, teas, jams, and much, much more Be sure to bring cash as credit cards are not accepted. As with all events of this type, they only continue to exist with participation and support of the community so come on our on a saturday or sunday and visit your local Farmers Market! Veterans Memorial Park in TAMARAC 7525 Southgate Blvd, Tamarac Every Sunday from 9-2pm The Community Farmers’ Market is located at Veterans Memorial Park (7525 Southgate Boulevard; next door to the Tamarac Dog Park! Plantation hosts a Farmers Market featuring fresh, certified organic produce, locally produced honey, homemade hummus, plants and orchids, fresh cut flowers, breads and Danishes, olive oils, cheeses, dips, spreads and more. It is located at Volunteer Park, from 8:00 AM to 2:00 PM, and will run year round. 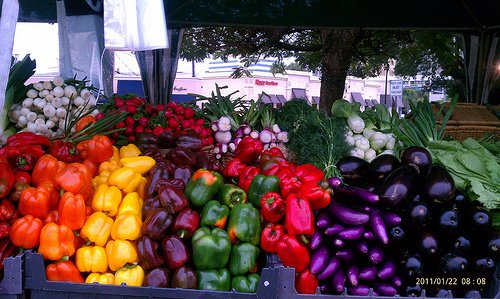 In Sunrise at the SWAP SHOP on Sunrise Blvd (954-7391-7927 ) between 441 and 95 is the huge Flea Market and Farmers Market open every day and selling literally everything under the sun, including fresh fruit, veggies, flowers and plants! Another great seasonal market and flea market is in Wilton Manors. 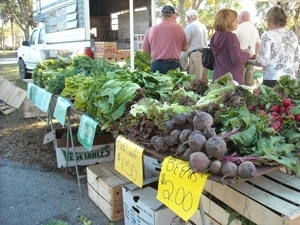 The market is held Saturdays in November through April. Childrens Tennis Carnival on March 24th 2012 FREE but you must PREREGISTER! Children are invited to come out to the Tennis Center of Coral Springs for a Kid’s Tennis Carnival and Play Day on Saturday, March 24th from 1 to 3 p.m.
Children from 5 to 12 years old are invited to come out and take a swing at tennis. Participants will use the new Quickstart format, which includes a low compression ball, lower nets and shorter courts. Tennis racquets will be provided and there is no fee involved. 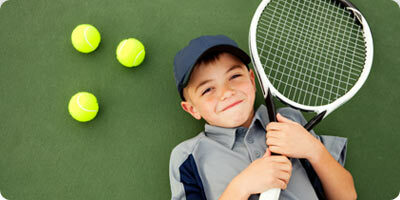 Children who have never played tennis can learn quickly under this format. Students will be divided according to ages and will play tennis games on the appropriate sized tennis court. Children who have previous experience are welcome to participate in the Play Day, where they will play competitive games. 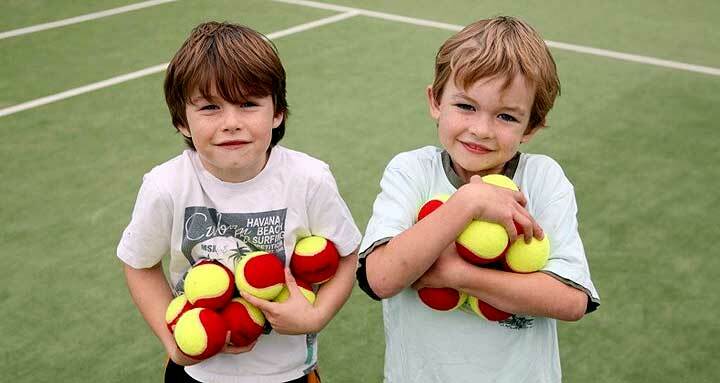 Children ages 5 to 7 will play on a 36 ft. court with an 18-inch net and low compression balls. Children ages 7 to 10 will participate on a 60 ft. court, while ages 10 to 12 will play on a 78 ft. court. The City’s USPTA certified Tennis Professionals will be conducting all activities. Participants must register in advance by calling 954-344-1840. Information on all of the City’s tennis programs and summer camps taking place at both Cypress Park and the Tennis Center will be provided. The Tennis Center is located at 2575 Sportsplex Drive (across from Coral Glades High School).